Our client, Mr C, attended Accident & Emergency having injured his left wrist whilst playing football. He was discharged without an x-ray but, three months later, the pain had not settled and a fractured scaphoid was identified. He subsequently required two surgical procedures, having missed the opportunity for conservative management with a cast, and has ongoing minor discomfort. Mr C injured his left wrist whilst playing football and attended A&E at the Kent & Sussex Hospital the following day. An x-ray revealed no bony injury and Mr C was advised that he had simply suffered a soft tissue injury. As advised, the symptoms promptly settled and he returned to his pre-accident condition shortly thereafter. Almost exactly one year later, he suffered another injury to his left wrist whilst playing football. He attended A&E at the Tunbridge Wells Hospital at Pembury the following day, but on this occasion no x-ray was performed. He was seen by a physiotherapist who advised that he had suffered a soft tissue injury only and that he should expect another swift recovery. However, on this occasion he remained in significant pain. He eventually attended his GP in three months later and was referred to the orthopaedic clinic the following month. An x-ray showed a cystic fracture of the left scaphoid which was confirmed by an MRI scan. 10 months after the initial injury, as the fracture remained a non-union, Mr C underwent an open reduction and internal fixation (ORIF) and bone graft of the left scaphoid. He experienced some improvement in the range of movement in his wrist, but continued to suffer pain, meaning that in 2 ¾ years after the initial injury, he underwent surgery to remove the scaphoid screw. We were instructed and obtained supportive expert evidence which indicated that Maidstone & Tunbridge Wells NHS Trust was in breach of duty in failing to perform an x-ray when he attended A&E. We argued that had an x-ray been performed, on the balance of probabilities, the scaphoid fracture would have been detected and treated at that stage. Conservative treatment probably would have involved the application of a plaster cast. On the balance of probabilities, the fracture would have healed at that stage and the two subsequent surgical procedures would have been avoided. The defendant served a letter of response and admitted that it was negligent not to perform an x-ray. However, they argued that the scaphoid fracture had in fact been sustained five months prior to the second football injury. We reviewed the medical records and considered that the defendant’s analysis was entirely mistaken. We obtained further expert opinion and were advised that the MRI scan showed changes in keeping with an injury which was only a few months old, as opposed to a fracture of 10 months old, as the defendant had suggested. The expert confirmed that Mr C also had not sustained any bony injury at the time of his first football injury and had been completely symptom free prior to his second football injury. We wrote to the defendant at length explaining why its analysis was incorrect, but the defendant continued to maintain its stance when serving its defence. We complied with the court timetable and served witness statements. As we prepared to exchange expert evidence the defendant made a Part 36 offer to settle the case for £45,000. It was clear that it now considered its defence untenable. We negotiated an increase and the case settled for £50,000. 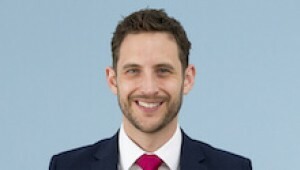 Oliver specialises in orthopaedic cases. If you would like to ask Oliver a question about a potential case, or if you have a general query about any clinical negligence case, contact Oliver Chapman at Thomson Snell & Passmore solicitors on 01892 701234 in confidence.